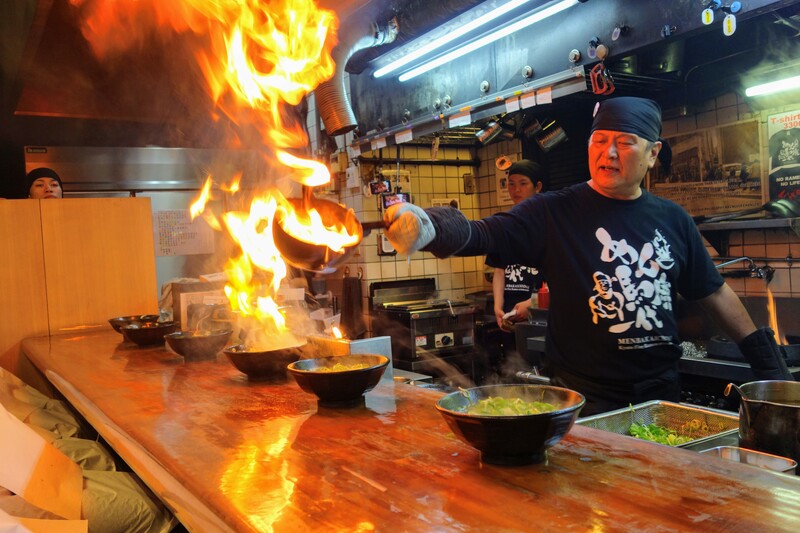 Ramen with a twist – and the twist is fire, lots and lots of scary fire. Recently reopened after renovations (20th March 2019) the restaurant is a popular spot for an unuual meal. It’s a 15-minute walk from JR Nijyou Sta and 10 minutes from Kyoto Subway Nijyoujyomae Station.